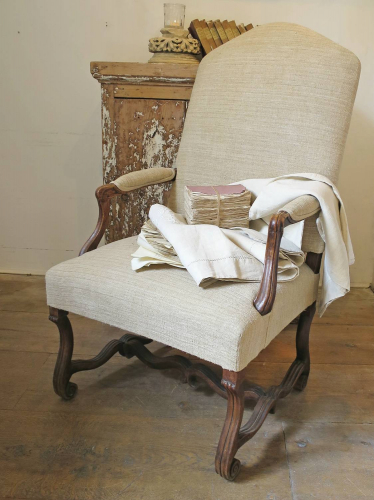 A very handsome large and comfy French armchair. 18th century from `Louis X1V` period. All re-upholstered with heavy antique linen.